Click Value @100 yards: 1/2"
Target Dot reticle consists of a single floating dot in the center as the aiming point with the least visual distraction. It is commonly used for quick aiming applications with lower demand for pin-point accuracy. The shooter aims by pointing the dot at the target. For a reflex dot sight based on light reflection, the sight usually does not have magnification and there is an unlimited eye relief. 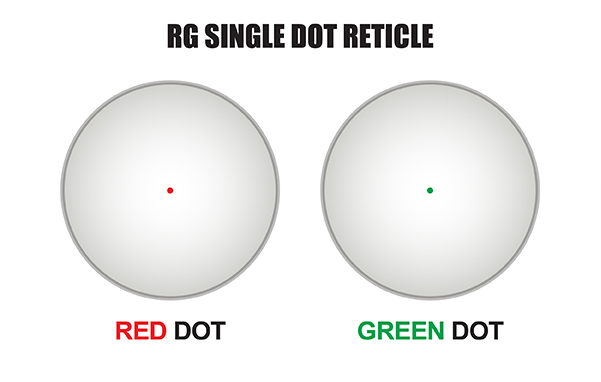 The dot is a reflected image of the light source with common characteristics from any light reflection, including possibly slight flare and fuzziness of the dot. 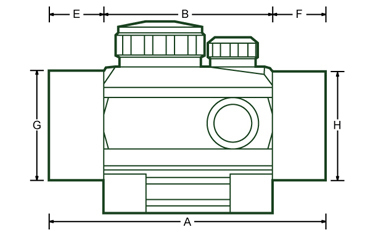 The typical dot size can be controlled to as small as about 4MOA. True strength scope platform using smart spherical structure(SSS) to achieve simplified and strengthened inner/outer tube interaction for most precise and responsive W/E adjustment and toughest recoil resistance. Leapers, Inc. warrants that all UTG & UTG PRO products conform to published specifications and are free from defects in material and workmanship. We will repair or replace defective products for the duration of the product's life span. Our dedicated in-house customer service professionals will provide the best-in-class UTG experience. Our warranty does not extend to products disassembled, damaged from misuse, accidental impact, negligence, natural disasters/accidents, or unauthorized repair or alteration.